Don Palmer, Councillor for Clarence Park Ward, City of UnleyPeople Power Only Works When Applied. Kaufland approved. Don Palmer, Councillor for Clarence Park Ward, City of UnleyPeople Power Only Works When Applied. Kaufland approved. People Power Only Works When Applied. 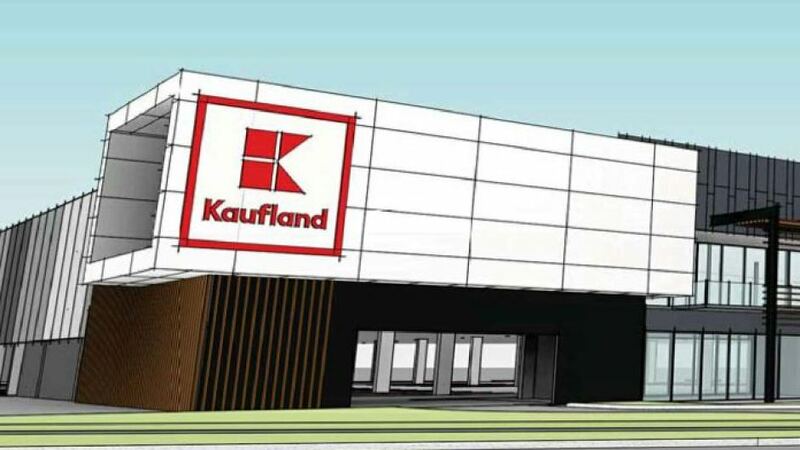 Kaufland development deferred. For people power to work the people must stand up. This I suggest did not occur yesterday when the State Commission Assessment Panel (SCAP) hearing heard representations yesterday. 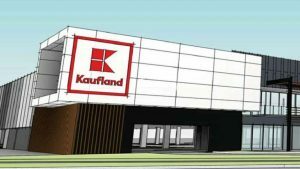 If you have not heard already, the Anzac Highway Le Cornu Kaufland development has been deferred. SCAP have, since receiving the representations, deliberated and decided the development is sufficiently at variance to the City of Unley Development Plan to warrant a number of issues addressed. Only two people represented against the development. One of these used a proxy in Goodwood Ward Councillor Luke Smolucha. More could have represented and chose not to use people power. Those who represented focused on gaining concessions rather than against the proposed development, many of which are included in the Panel’s requirements. I sense both groups may have wrongly felt it was a fait-accompli and not worth challenging. As a witness to the proceedings yesterday I had two overwhelming impressions. Firstly, I was impressed with Kaufland’s project manager Sam. He demonstrated to me he had an empathy for those in the community disturbed by the impact their development might have in the community. He gave a number of assurances during the hearing. The most significant of these was that he would ensure that deliveries would be via Maple Street. Drivers would not use Leah and Leader Streets to access the site. After the hearing he gave me a personal assurance that he would also ensure that the contract for construction of the development would also not use Leah Street to access the site. In particular, he agreed that the demolition, earthmoving and concrete trucks would not use Leah Street. This is now on the public record as I expect this will be highlighted in the Eastern Courier meaning it is public knowledge. They also worked hard to address a significant variance to Council’s development plan concerning at grade carparking. They are proposing to provide extensive screening to avoid what I highlighted on my recent blog concerning this deficiency. The second overwhelming feeling I got from attending was my perception with the paradigm of the panel, while different to the community, was correct. They were, in my opinion, concerned that the development was at significant variance from the objectives of Council’s Development Plan. Members of the panel sought feedback from nearly all who spoke on the question of it being a major supermarket with no residential component. This included both representors and Kaufland’s representatives. They were almost begging for opposition on these grounds. Looking I suspect for people power to present itself. Their concerns mirrored my own assessment, as I blogged on back in May. The absence of a response was, in my mind, a trigger for them to consider approval, and ultimately to seek deferral to address concerns. In other words, a lack of opposition bought about the fait-accompli the community felt warranted rolling over on. I truly believe that had there been greater numbers of people (greater people power) representing and/or an emphasis placed by those who did on highlighting the development was diametrically opposed to the development plan, the decision may have gone the other way. We will, however, never know. Of course there is another twist to this. People Power may have felt the alternative was equally or more unpalatable. That being that the development plan allows for up to 6 storey development. On a brighter note. Kaufland may prove to be a good corporate citizen and neighbour however. As I indicated earlier, we may find that many of the fears our community may have may actually be just that; fears. I was once told that humans spend 80% of their time worrying about things that will never happen. That may prove accurate here. If I have assessed Kaufland’s paradigm correctly, that may prove to be the case with the LeCornu development. And …. the panel itself is clearly seeking the best possible solutions, to the benefit of the community. Thanks for your support on this and other issues. Much appreciated. However, I think that there is a very serious issue here with the process that is in place that limits community input about this type of development application. Those who could address the SCAP were limited to very near neighbours – of which there are only a handful. And many would find this intimidating. The wider community did put in submissions but we’re not able to address the committee. But a number of their written submissions did address how the application was at serious variance with the zoning development guidelines. They can be ignored by the committee because they are not in the very limited consultation zone. What I can’t understand is why the panel is able to grant permission. What process are they obliged to undertake? Dont they have a duty to examine the application against the guidelines. These guidelines were developed with some community input. Why is it up to the community to make representations? SCAP are the ones with the authority to make the assessment. Surely they have an obligation to be thorough. And lastly, the community who will be seriously impacted upon have no appeal rights, but the applicants do. Where is the equity in this.